The bronchial tubes present in between the nose and lungs when become swell, inflamed, it increases in its size and thus the condition is known as bronchitis. It is actually formed due to the viral infection, bacterial infection. The common symptoms might be cough with mucus, chest pain, nasal congestion, difficulty in breathing, fatigue, fever. 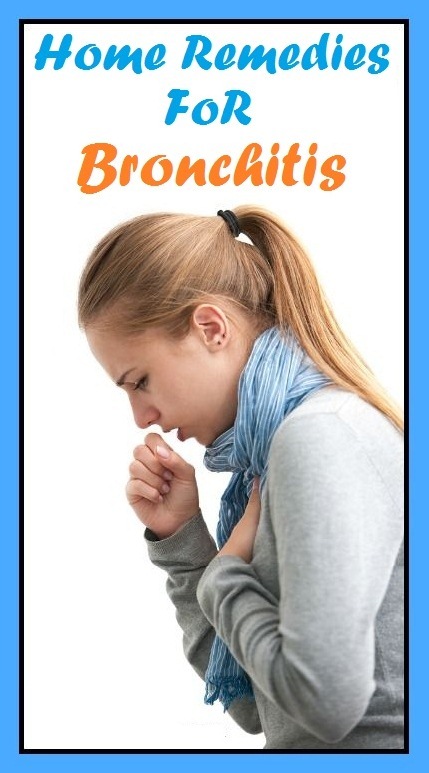 Bronchitis is a chronic disease. 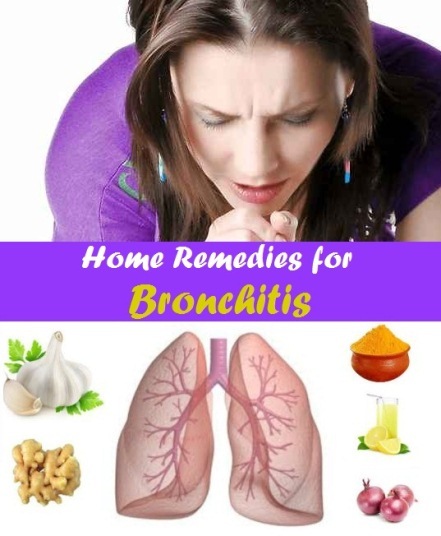 The over-the-counter medications are prescribed by the doctors to the bronchitis patients but it causes sometimes minor side effects so there is a way to treat the bronchitis with natural homemade remedies which will help you get relief from that. Ginger is an excellent treatment formula for the common cold that directly helps bronchitis to be settled down. It contains anti-inflammatory and immune-boosting properties that help in a better relief from irritation, swelling, and inflammation of the bronchial tubes. Take a piece of ginger and finely grind it in the form of a powder. Take half tsp of each of ground ginger, cinnamon and cloves and add them in a cup of hot water. Stir the solution well and drink it for few days. You can also prepare an herbal tea by adding one tsp of each ground ginger and black pepper in a cup of boiling water. Steep for few minutes then add a little bit of honey to taste. Drink the mixture two times daily. Similarly garlic is one of the ingredients like ginger which contains antibiotic and anti-viral-properties. It is very good for treating the bronchitis. Peel them and chop them finely. Add them in a glass of milk then boil. Turmeric is a cure for overall health. Turmeric also has anti-inflammatory actions towards this condition and it is also good for treating the cough belonged to bronchitis. In a glass of milk, add one tsp of turmeric powder and boil it. Drink it two or three times a day for the faster results. Make sure you are drinking on an empty stomach. It is better to take steam while suffering with bronchitis. The eucalyptus oil present in the water and when you take steam, this oil reaches to the bronchial tubes and soften the mucus. It has anti-bacterial properties as well. In a pan, boil an adequate amount of water then add few drops of eucalyptus oil in it. Cover your head with a towel and inhale the steam by breathing high. You can also use pine oil or tea tree oil. Also you can apply eucalyptus oil to rub on the chest externally. It will improve the respiratory system. Gargling with salt water is also beneficial for the bronchitis. Add one tsp of salt to a glass of warm water then gargle it. Do not use too much salt as it will cause burning sensation in the throat so add medium amount of salt you need. You will definitely get benefits from this remedy, the first one is it will soothe the inflamed throat and pain, the second benefit will passing out the mucus from bronchial tubes. Honey is also a natural ingredient and thus helpful for the uncountable reasons related to your health. It has anti-viral and anti-bacterial properties that help in soothing the throat. It also boosts your immune system. Add one tsp of honey to a cup of tea will help in relief. Add honey to warm lemon water to treat the throat inflammation and swelling. Onion on the other hand, is best enough to treat many of the problems related to health. It helps in dissolving the mucus or phlegm so relieving the bronchial tubes. On an empty stomach, drink one tsp of raw onion juice every morning. Add raw onions in your salad or use in cooking process. Epsom salt also helps in getting rid of the bronchitis and the symptoms involved. Add two to three pounds (one to one and half kg) to your bath tub filled with warm water. When it gets properly dissolved, sit on the bath tub for half an hour. 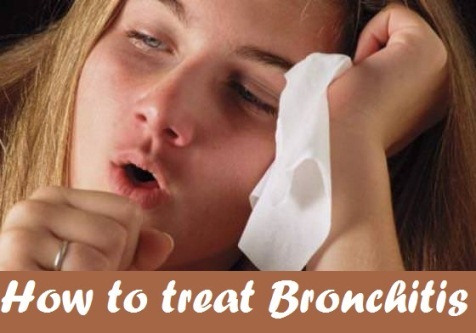 Do two times a week if you are suffering from chronic bronchitis. Do this remedy at night. Sesame seeds have medicinal properties and helps in relieving the chest pain linked with bronchitis. In a bowl, add one tsp of sesame seeds, one tsp of flaxseed, pinch of common salt and one tsp of honey. Combine the ingredients well together and eat this mixture daily at night. You can also add one-half tsp of dry sesame seed powder and two tbsp. of water then drink it two times daily. It is important to keep your body well hydrated while you are going through the problem of bronchitis. It will maintain the cough. Drink at least 10 glasses of water daily. Eat juices of fresh fruits and vegetables too in the morning. You can add little bit of honey and lemon juice for taste. Avoid taking caffeine or alcohol drinks, it will loss the extra fluid from your body and make the mucus to remove.